Th e red-hot Pittsburgh Penguins came home to host the worst team in the NHL. It went about as well as one might expect for the visitors. The Pens got goals from seven different players, including Sidney Crosby's league-leading 21st of the season, and points from thirteen while Matt Murray stopped all 25 shots he faced as they routed the Arizona Coyotes 7-0. The Penguins controlled play early, but a Trevor Daley high stick around the crease put Arizona on the power play. They weren't able to get much going, and Kris Letang nearly got Pittsburgh on the board when rang a shot off the post, but Arizona escaped their man advantage opportunity still tied 0-0. The scoreless tie wouldn't last for long though. Midway through the 1st period, Scott Wilson wristed a shot from the left circle that hit the outside post and redirected into the net. It was a great shot, but one made possible by Tom Kuhnhackl skating through Smith's line of sight as Wilson was getting the shot off. Mike Smith didn't see it cleanly, and by the time he was able to react it was too late. Minutes later, a Ryan White hooking penalty against Evgeni Malkin would give the Penguins a power play and a chance to extend the lead, but the Coyotes got arguably their best chance of the night and almost tied it up. Letang couldn't hold the puck in at the blue line, and Tobias Rieder sprung free on a breakaway. Matt Murray made the save, but Daley hooked him at the end of the rush to even up the teams 4-on-4. Things remained relatively uneventful until late in the period. With 3 seconds remaining, Martin Hanzal caught Sidney Crosby square in the face with his stick as he tried to avoid a collision with Patric Hornqvist inside the blue line. As has become par for the course, the refs didn't call a penalty, and Crosby would miss the beginning of the 2nd period while undergoing concussion protocol. The captain would return minutes into the period, and the Pens would finally start filling the net against a hapless opponent. Shane Doan slashed Carl Hagelin early in the period, and while Pittsburgh wasn't able to make them pay on the ensuing power play, they did get another on the board shortly after the penalty expired. Radim Vrbata got a great chance in close against Murray, but the netminder was able to make the big save to preserve the lead. Seconds later, Bonino intercepted an Arizona clear from behind the net and shot the puck past an unaware Smith from the slot for an easy goal to increase the lead to two. The Pens continued to tilt the ice towards the Arizona zone, and a couple minutes later it was Daley making up for his early penalties as he pounced on a loose puck in the slot in front of the Coyote net and blasted it past Smith to give Pittsburgh a commanding 3-0 lead. Moments later, the Penguins were back on the board again. Midway through the period, Smith went behind the net to play a dump in, the Pens nearly got a goal off a fluke bounce, but Smith got back in time to shoot it away. Pittsburgh kept it in the zone, seconds later Rusts skated into the high slot and wristed a shot towards the net. In a bit of good luck, it deflected off Arizona defenseman Michael Stone and into the net. The goal made it 4-0 Penguins, and it prompted Arizona coach Dave Tippett to pull Smith pulled for Louis Domingue. It wouldn't make a difference for the Coyotes. Late in the period, Oliver Ekman-Larsson received a double minor, getting two minutes for flipping the puck over the glass and two minutes for unsportsmanlike conduct afterward. The Pens would have another opportunity on the power play, and they wouldn't let this one go to waste. 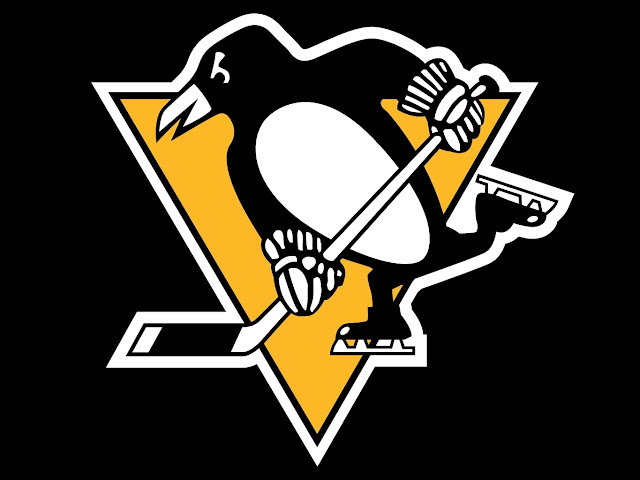 Evgeni Malkin fired a shot from the right faceoff dot that hit off Domingue's pad, hit off the post, and fluttered into the air right in front of Sidney Crosby, who waited for the puck to drop below the crossbar before swatting it into the net for Pittsburgh's fifth goal of the game. Arizona entered the intermission in a huge 5-0 hole, and any hope for a miracle was quickly extinguished in the 3rd period. Just over a minute in, Malkin left a drop pass for Phil Kessel at the top of the right circle and, in a rare move, Kessel blasted a slap shot on net that overpowered Domingue's glove hand before finding its way into the back of the net. Justin Schultz would add a seventh goal midway through the 3rd on a slap shot from the high slot, and the Penguins closed out the game in the same dominating fashion in which they began it.